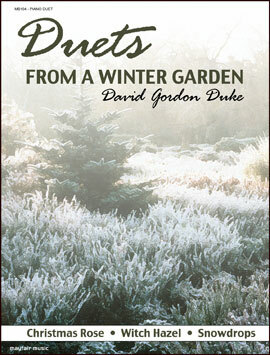 Duets from a Winter Garden is a lovely collection of early intermediate duets. Christmas Rose, Witch Hazel and Snowdrops are one-page works with beautiful imagery. The shared melodies, interesting rhythms and haunting sounds combine to create an attractive set of duets.